Q1. What are the initial principles of management? The principles of EMST/ ATLS apply; taking part in these courses is highly recommended if you are involved in this area at all. Initial management is focused on preventing secondary brain injury by preventing hypoxia and hypotension, which have been shown in the context of TBI to be the most important variables affecting outcome. Hypotension alone increases mortality in severe TBI from 27% to 60%. Hypoxia, in addition to hypotension, is associated with a mortality of 75%. In the context of trauma, the principles of ATLS are followed, with a primary survey focusing on airway patency and C-Spine protection, adequate ventilation with oxygenation and addressing life threatening haemorrhage. In this case, preventing haemorrhage from the arm injury is crucial to prevent hypovolaemic shock and reduced cerebral perfusion pressure. This is followed by the appropriate adjuncts and a complete secondary survey. Associated injuries that might result in hypotension or hypoxia must be identified early. 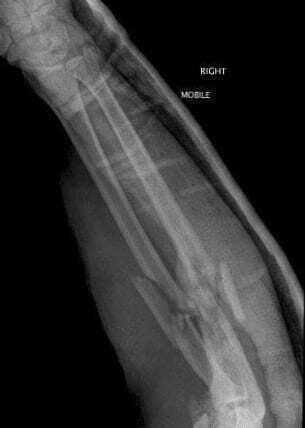 Evaluation for occult injuries is routine, e.g. CT of the abdomen, FAST, DPL, and chest x-ray. Urgent CT scan, frequent neurologic revaluations, and repeat CT scans are used to identify progressive injuries. Q2. What are the specific considerations for airway management in this case? Endotracheal intubation with rapid sequence induction is required for airway protection if the GCS is </=8 or if it falls by >/=2 points. Intubation may also be required for other reasons, e.g. coexistent respiratory problem or prior to operative intervention. After initial resuscitation the patient is taken to the operating theatre; he returns to the neuro-intensive care after a decompresive craniectomy and insertion of several monitoring devices. Q3. What is this device? 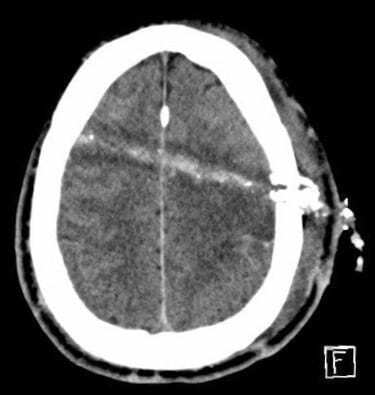 A Codman ICP monitor, used intraparenchymally in this instance. Q4. 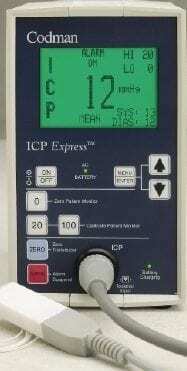 What are the pros and cons of different intracranial pressure (ICP) monitors? Q5. What does this monitor show? What is it used for in the ICU setting? Trans-cranial doppler is a big topic in its own right (see references) and was only used as a component of research in this case. Q6. What is this bit of kit? How useful is it? 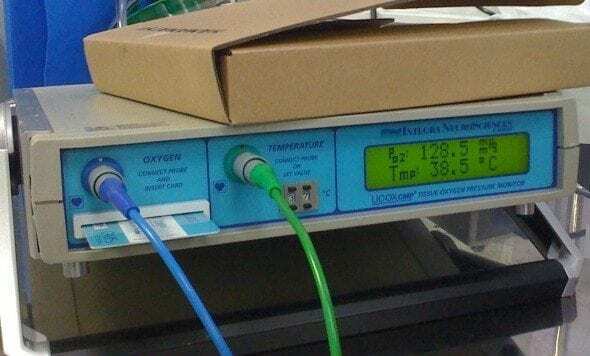 NIRS is a non-invasive monitor of cerebral oxygenation. It is attracting a lot of interest currently but remains to be validated for use in guiding therapy or inferring prognosis in TBI (see references). Q7. And what is this? It is inserted through the same bolt as the ICP monitor and the blue box shown below. What are the components shown? What does the device tell you? 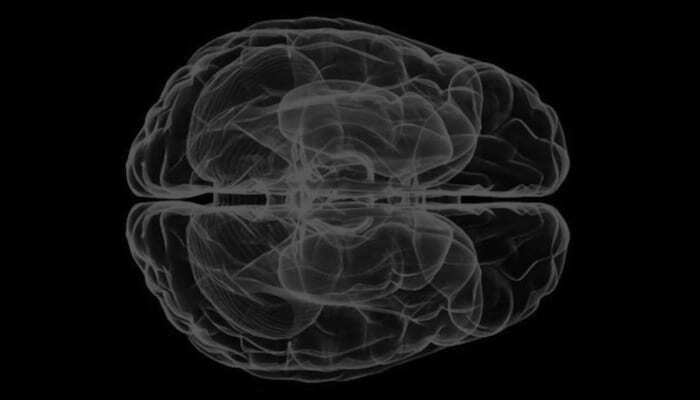 Cerebral microdialysis is a well-established laboratory tool that is increasingly used as a bedside monitor to provide on-line analysis of brain tissue biochemistry during neurointensive care. 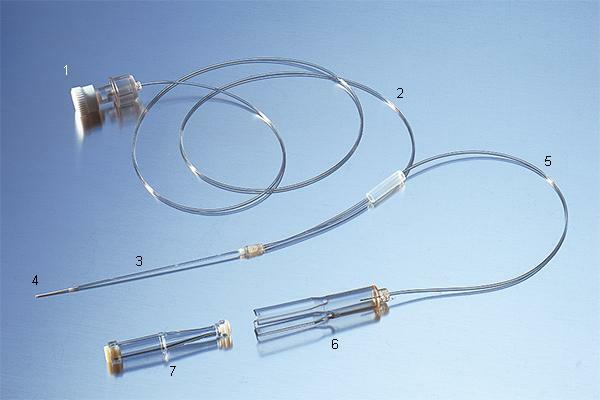 Microdialysis has the potential to become an established part of mainstream multi-modalitymonitoring during the management of acute brain injury but at present is a research tool for use in specialist centres. 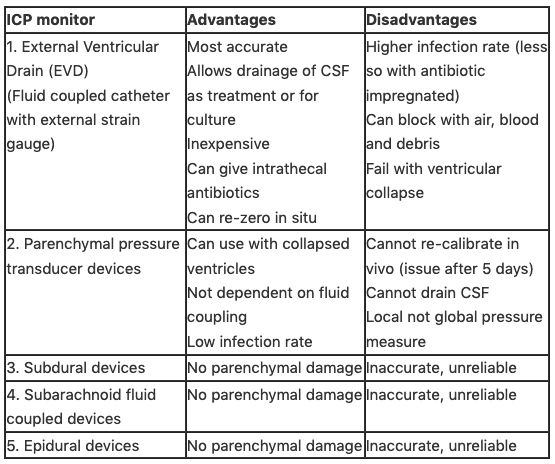 A recent review by Tisdall and Smith (2006) describes the principles of cerebral microdialysis and the rationale for its use in the clinical setting, including discussion of the most commonly used microdialysis biomarkers of acute braininjury, with potential clinical applications and future potential research applications (see references). Q8. Here is even more multi-modal monitoring. What is it? Is it more or less useful than the rest of the devices we’ve seen? The prevention and aggressive treatment of cerebral hypo-oxygenation and control of ICP with a PbtO(2)-directed protocol has been shown to reduced the mortality rate after TBI in major trauma, and result in improved clinical outcomes over the standard ICP/CPP-directed therapy. This was shown in two single centre studies with historically matched controls, which have inherent limitations (see references: Narotam et al 2009; Spiotta et al 2010). 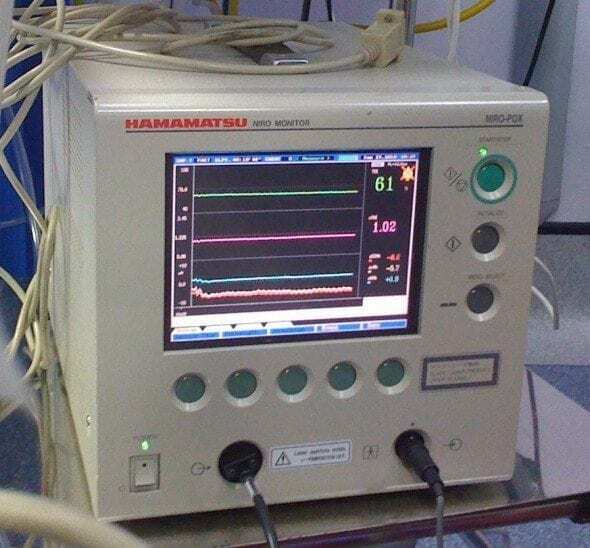 However, as there have been no randomized controlled trials carried out to determine whether PbtO2 monitoring results in improved outcome after severe TBI, use of this technology has not so far been widely adopted in neurosurgical intensive care units. Patients with severe TBI will be monitored with ICP monitoring and PbtO2 monitoring, and will be randomized to therapy based on ICP along (control group) or therapy based on ICP in addition to PbtO2 values (treatment group). 182 participants will be enrolled at four clinical sites in the United States. Functional outcome will be assessed at 6-months after injury. Q9. What other complications might you expect following this event? All the other complications of a prolonged ICU admission! 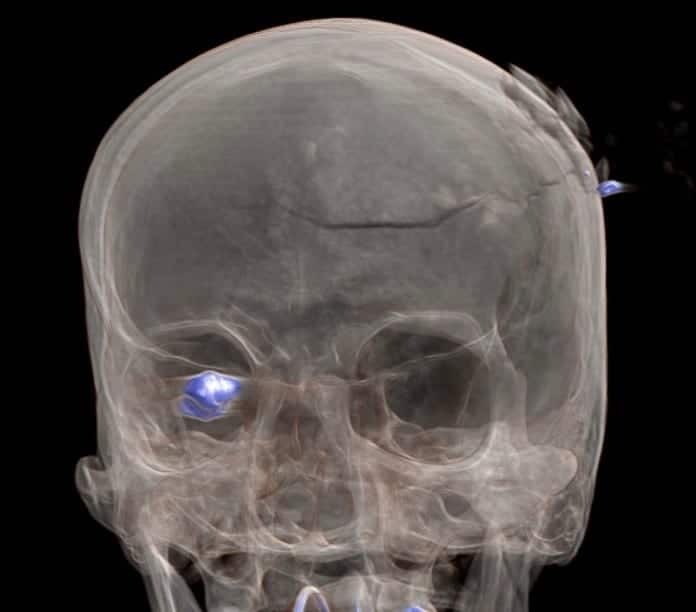 Surgical management of penetrating brain injury. J Trauma. 2001 Aug;51(2 Suppl):S16-25. Review. PMID: 11505195. Antiseizure prophylaxis for penetrating brain injury. J Trauma. 2001 Aug;51(2 Suppl):S41-3. Review. PMID: 11505199. Vascular complications of penetrating brain injury. J Trauma. 2001 Aug;51(2 Suppl):S26-8. Review. PMID: 11505196. Management of cerebrospinal fluid leaks. J Trauma. 2001 Aug;51(2 Suppl):S29-33. Review. PubMed PMID: 11505197. White H, Venkatesh B. 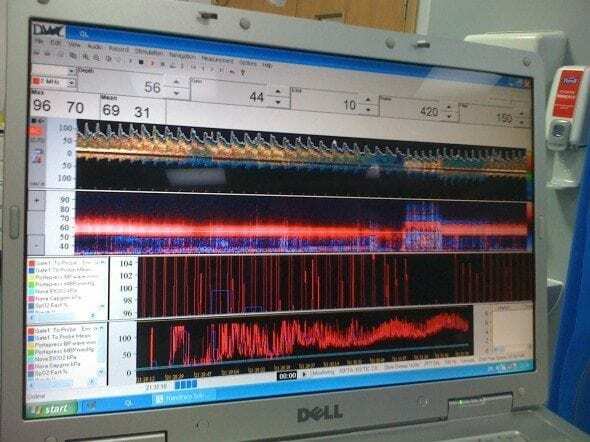 Applications of transcranial Doppler in the ICU: a review. Intensive Care Med 2006 Jul;32(7):981-94. Epub 2006 May 10. Review. PMID: 16791661.